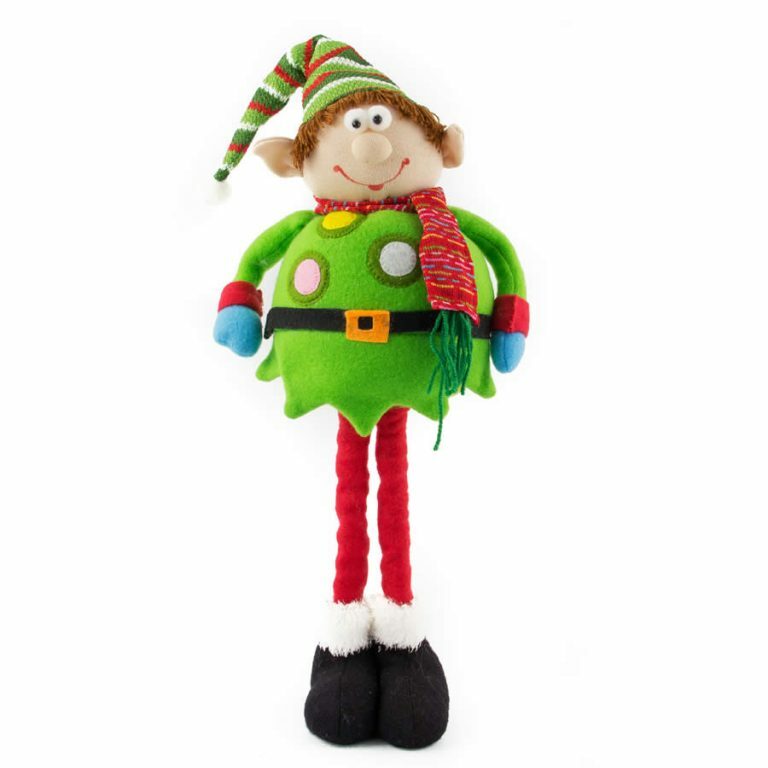 Check out everyone’s favourite elf, Santa, as he makes toys for all of the good boys and girls on his holiday list. 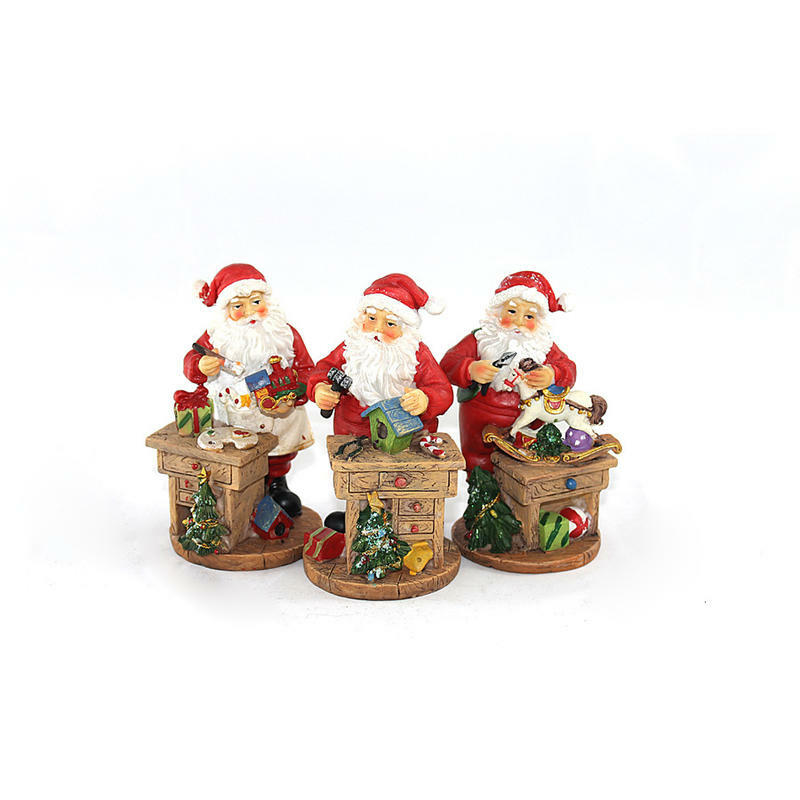 The Santa Making Toys figurine is a fine replication of all the work that Santa has to get done before his fateful journey on Christmas eve. 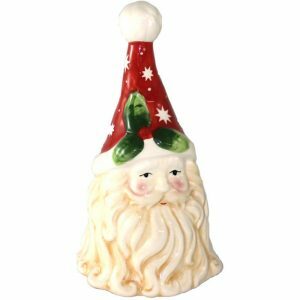 Each ceramic figure measures approximately 10cm wide by 15cm in height, and shows Santa in various stages of toy-making in his work-shop at the north Pole. 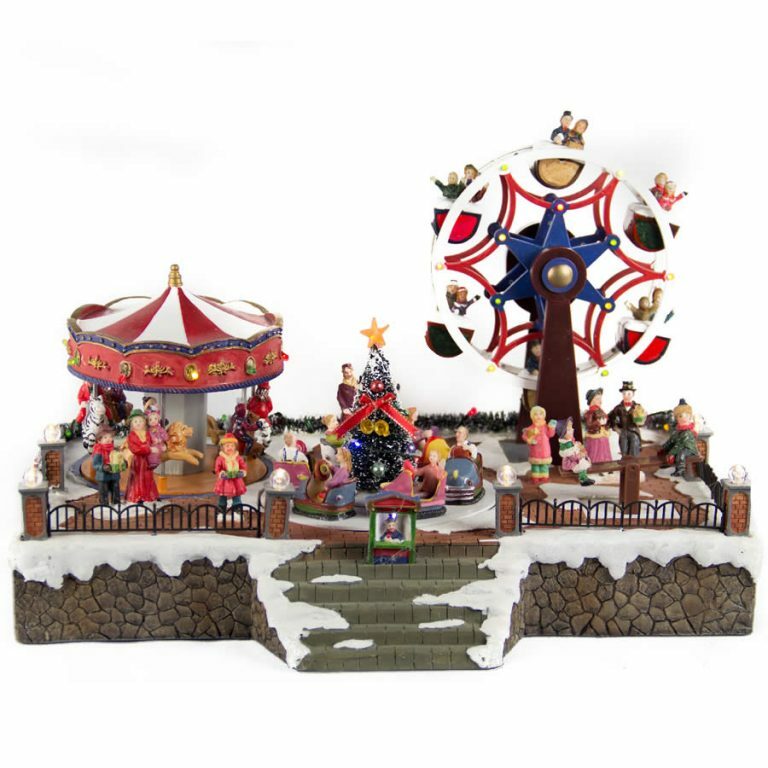 The details are what bring this enchanting item to life, and both kids of all ages will enjoy the anticipation that this merry figurine ignites. 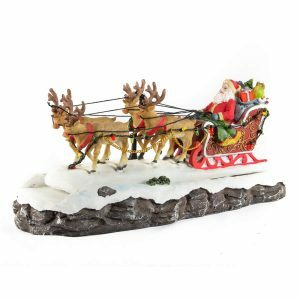 As Santa stands at his work-bench, he works on gifts for everyone, including a train and rocking horse for two lucky children, as well as a clever bird-house for mom or dad! This is a great accompaniment to any of your traditional decor, and would fit in with a themed-village or holiday display perfectly. Give this sweet figure to a friend or co-worker for them to display on their table, desk, or mantle this Christmas season.